Motex USA Packaging Inc. is a leading shopping bag supplier for the retail stores. 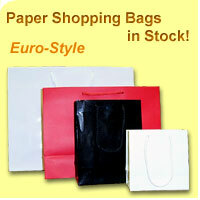 Motex has offered customized shopping bags including paper and plastic bags since 1988. We have the decent quality of products, competitive prices and quick service. If you are interested in purchasing our products, feel free to contact our sales represantive at 212-722-7640 or e-mail us at cjlee@motexnyc.com.